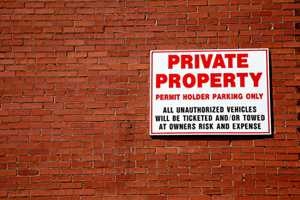 If you rent, lease or manage property, you know the importance of signage. Property signs inform tenants and visitors about the important things they need to know from parking rules and speed limits to hours of operation and handicap access points. We offer a wide selection of standard property signs from which to choose and can work with you to create a custom sign to fit any need. Call today to learn more or stop and see our in-stock selection.